The Nigerian local currency, Naira, gained five points on the parallel market, closing at N455 per Dollar, while the Pound Sterling and the Euro closed at N555 and N505, respectively. 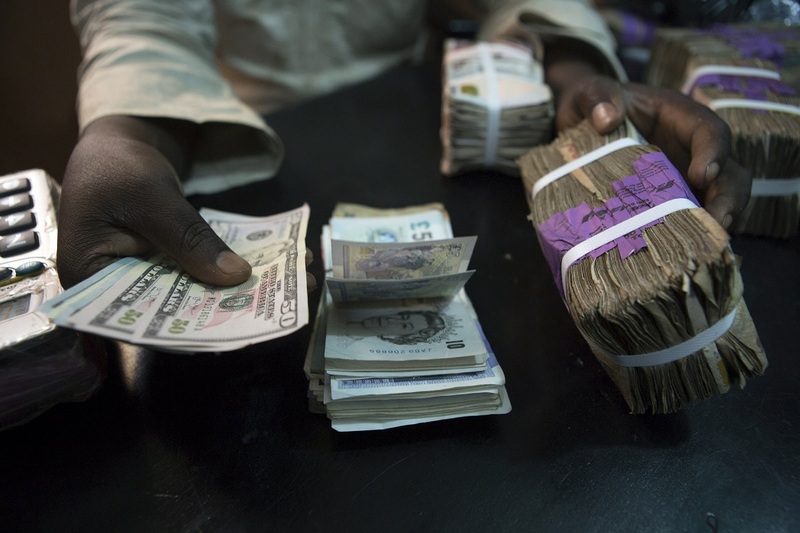 At the interbank segment of the market, the currency gained N1.45 to close at N304.75 from N306.50 recorded on Thursday, while at the Bureau De Change (BDC) window, Naira exchanged at N385/400 to a Dollar, Central Bank of Nigeria (CBN) controlled rate, while the Pound Sterling and the Euro closed at N555 and N500, respectively. Traders at the market told the News Agency of Nigeria (NAN) said that activities were low as Thursday’s raid on the market by the operatives of the Department of State Service (DSS) and Economic and Financial Crimes Commission (EFCC) had instilled suspicion among them. Reacting to the raid, Prof. Sheriffdeen Tella, a Senior Economist at the Olabisi Onabanjo University, Ago-Iwoye, said that the raid was not a solution to the problem of foreign exchange scarcity. Prof Tella admitted that some elements in the currency exchange market had not jettisoned speculation and round-tripping, but said that solution to foreign exchange scarcity was improving the nation’s foreign exchange earnings. The security operatives raided some unregistered BDCs and parallel market traders over alleged arbitrary sale of foreign currencies above the official rates.